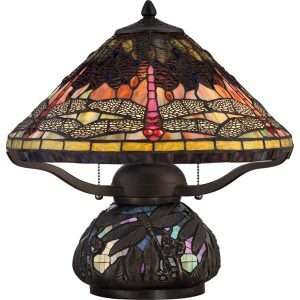 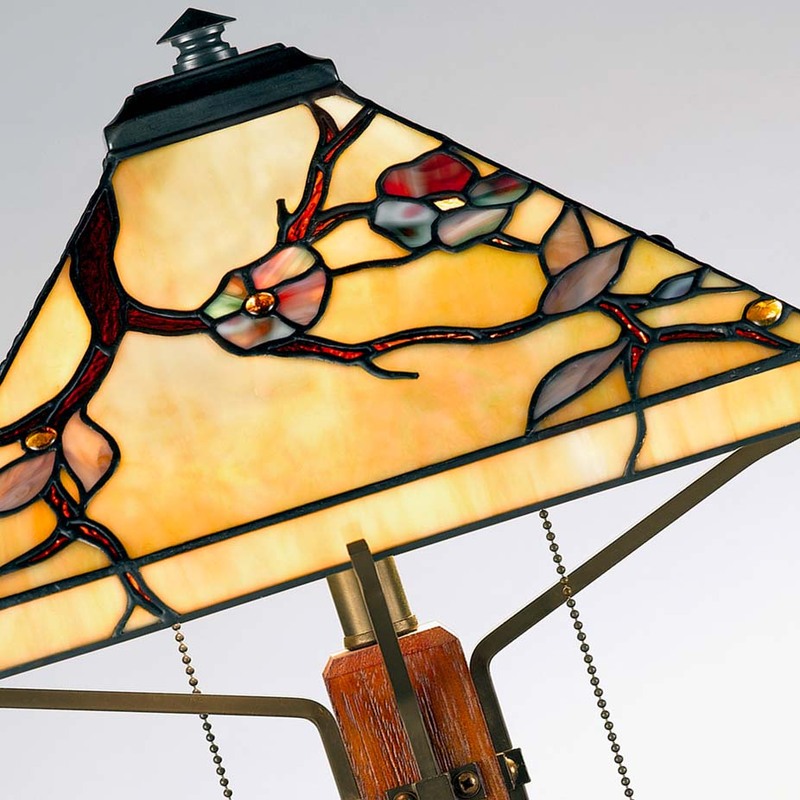 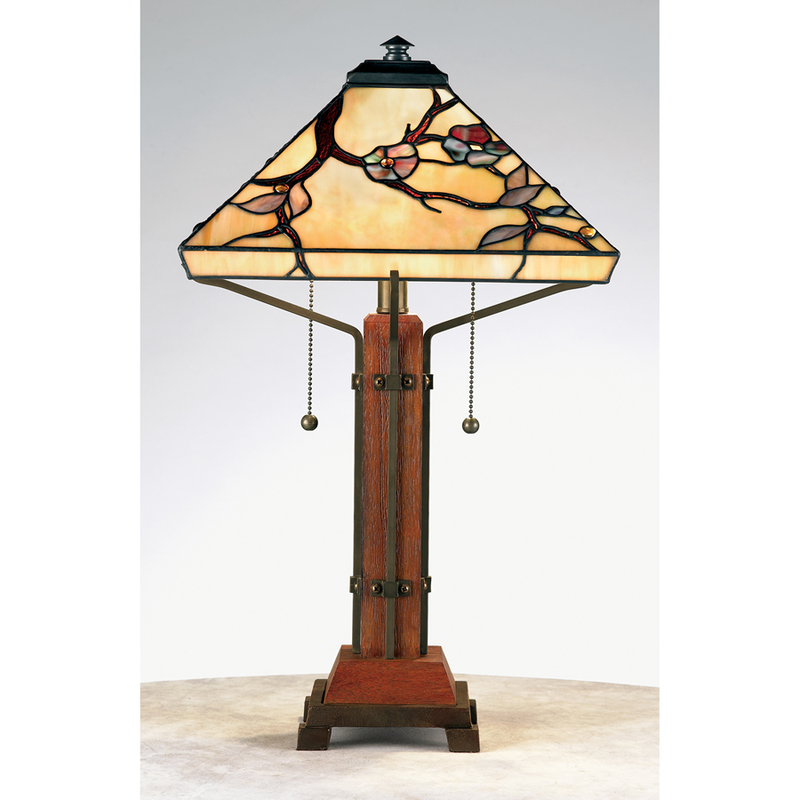 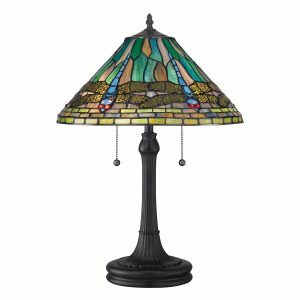 This Arts and Crafts lamp combines a wood base and glass shade with flowering tree pattern in hues of amber, wine, steel blue, and hunter green. 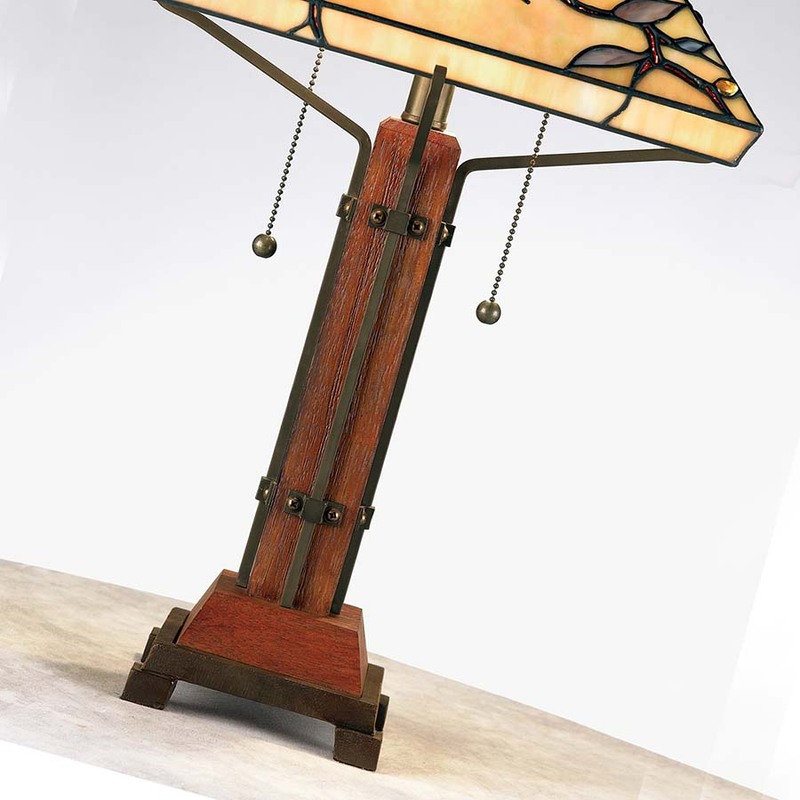 The wood base has geometric iron accents adding to its organic style. 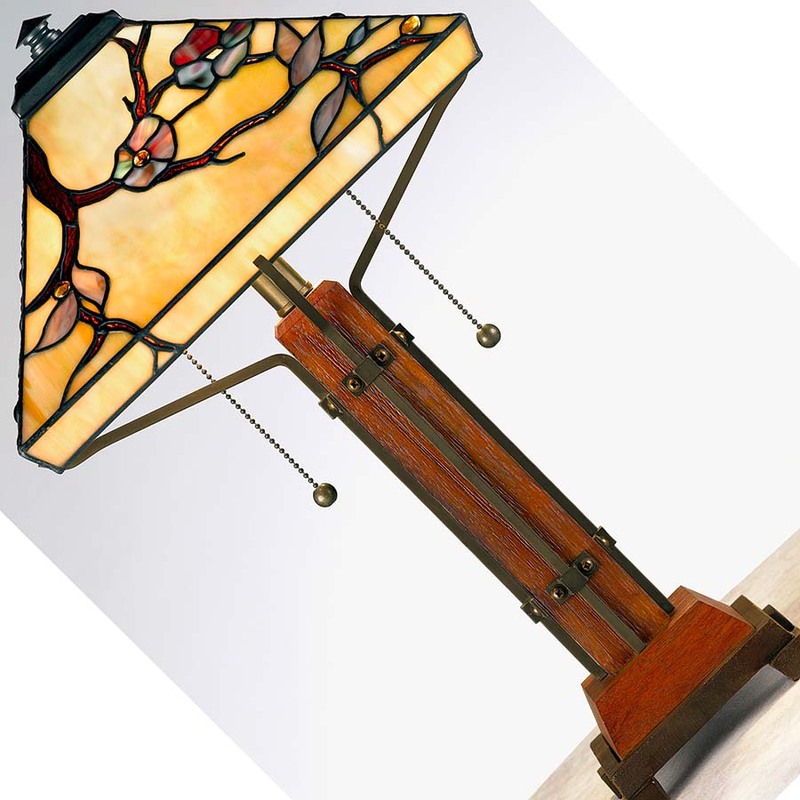 Arts & Crafts at its finest, but also a touch of Art Nouveau. 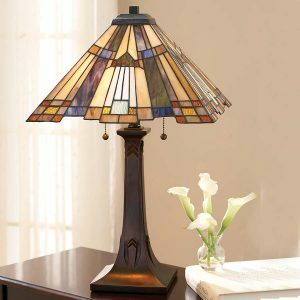 What is the definition of Arts & Crafts? 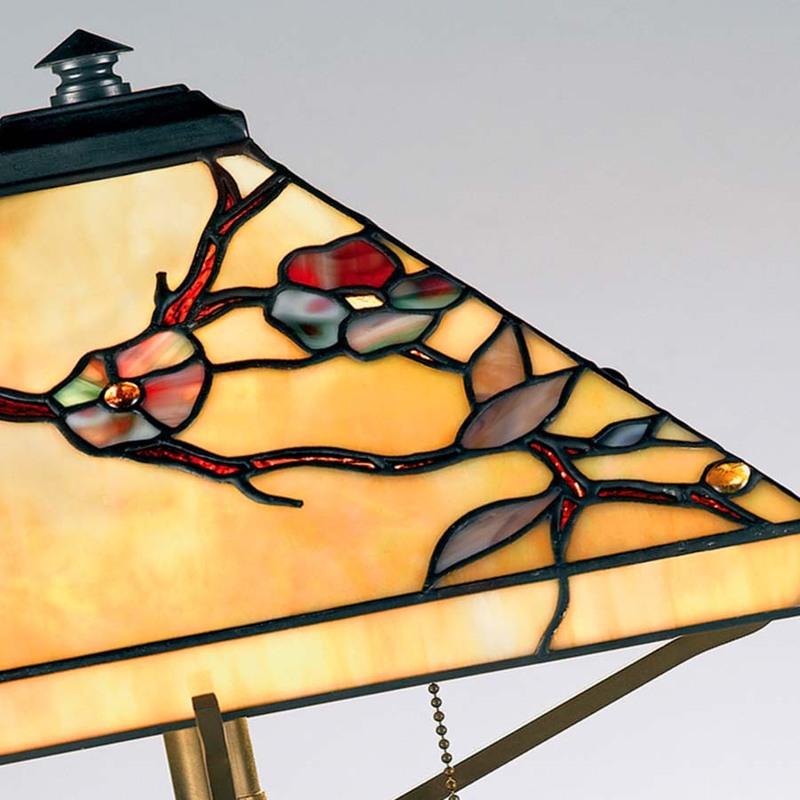 Arts & Crafts employs traditional craftsmanship using simple forms, such as wood and native materials, in this example cut art glass. 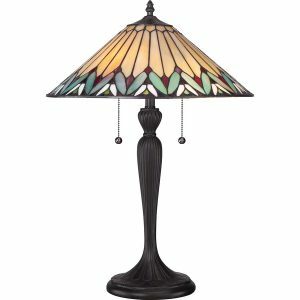 The flourish of a flower in the cut glass shade is a traditional motif that was predominant in many of Louis Comfort Tiffany’s own designs and used later in works of Art Nouveau.